Looking for the Ozarks in northern Missouri? Cuivre River State Park is one of the state’s largest and most rugged parks! Cuivre River State Park lends a wilder, Ozarkian flavor to the otherwise predominately agricultural landscape of northern Missouri. Although not far from St. Louis, the park is a nature lover’s paradise. It is an outdoor delight to stroll through the park in the spring when flowering dogwood is in bloom or in the fall when the trees are ablaze with autumn colors. The park is perfect whether you want to enjoy an afternoon visit or spend a few days. Both primitive and modern campsites are available, and Lake Lincoln offers swimming, boating and fishing. 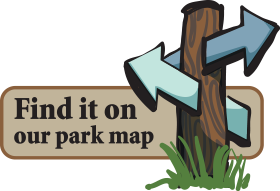 The park’s wild and natural areas provide hiking, backpacking, photography and wildlife observation activities. There is also an equestrian trail with a campground for overnight stays.